The app version of this site is now availale on your favorite App Store! Welcome to A Prague Beer Guide. It is "A" beer guide rather than "The" beer guide because it in no way intended to be comprehensive. It is a "curated" site -- which just means these are the pubs that a beer geek (Fred) happens to like. Fred lives in Los Angeles but often travels to Prague. We've designed the site with the beer tourist in mind. Whether you're in Prague on a dedicated beer trip or you are in town for other reasons (business, family trip, etc.) and just want to try some good local beers. It started out as a aid on a recent trip of mine to Prague but I decided to share the results of my visit with anybody else headed to Prague. You can search the database many different ways. 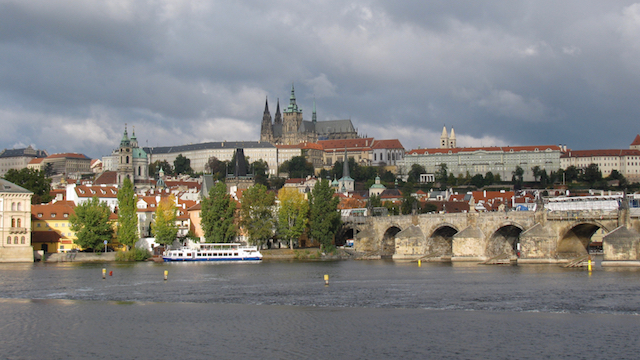 We'll try to keep you up to date with happenings in Prague in our news section. But we are half way around the world so let us know if you have a scoop.